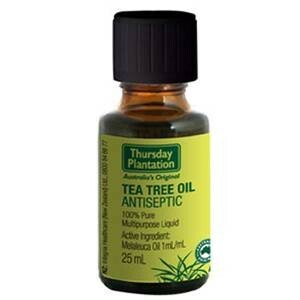 Australia’s natural antiseptic, Thursday Plantation Tea Tree Oil Antiseptic is distilled from specially selected Melaleuca alternifolia leaves, a plant native to the coastal regions of northern New South Wales and south eastern Queenland, Australia. This 100% pure, 100% natural oil is a powerful antiseptic which inhibits a broad spectrum of bacteria and fungi and cleanses and protects skin abrasions. Tea Tree Oil is well tolerated by healthy skin tissue, and does not inhibit normal cell growth. 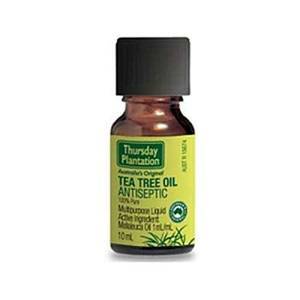 Thursday Plantation Tea Tree Oil Antiseptic can assist in relieving minor cuts, burns and abrasions and effectively treats lower leg and foot related fungal infections, such as athlete’s foot and nail infection. Available in 25ml and 10ml bottles at Podiatry Point Brisbane and Toowoomba, click here for more information or to purchase.